Mommy's Wish List: Target's Archer Farms and Market Pantry brands make it easy. 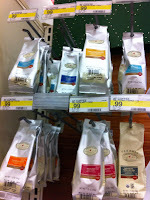 Target's Archer Farms and Market Pantry brands make it easy. This week, I had a BIG list for shopping, as I'm sure most of you do too. There's teacher gifts, holiday snacks for the Stundins Christmas to-do, cupcakes for Luka's half-birthday at school (can't believe he talked his teacher into THAT one), a few more Christmas presents I hadn't found yet, and of course stocking stuffers. And well, then there's the stuff you have to eat every day anyway which we were running low on just about everything. Off to Target I went. Why? Well, I started out ambitiously with a big list of about 10 different stores I was going to visit. Big fist full of coupons and print-outs for rewards. Staring at that list for about ten minutes made me dizzy. I decided that 85% of that stuff I could find at Target. Yes, I was pretty sure I could make my life easier with one big marathon shop. In one store, instead of ten stores. Most of the food items I needed were special holiday things like cheese and crackers, nuts, chips, cookies, baked goods...items I would use for teacher baskets and the holiday spread a mother must put out all day every day when there is no school and people seem to want to eat all day long. And all the little snackie things you put in children's (and mother's) stockings. Before I left, I went thru the Target coupons available on their website, and found $1 off Archer Farms Chips, $1 off Archer Farms Crackers, $1 off Archer Farms Cookies, $1 off Market Pantry items, and $1 off Archer Farms Cookies. And the crown jewel, a $5 off a $30 grocery purchase at Target coupon as well. Yeah! 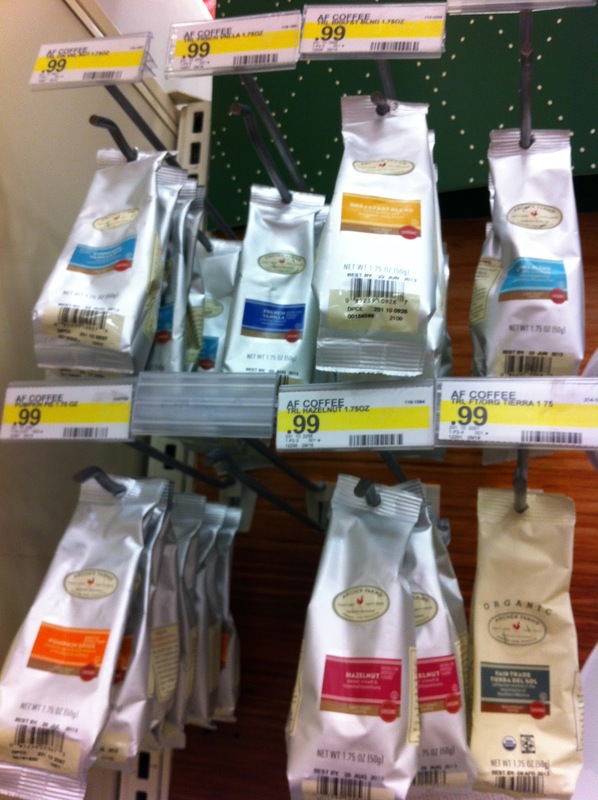 Get your Target coupons here. The produce prices were not as cheap as Fiesta, but cheaper than Tom Thumb. 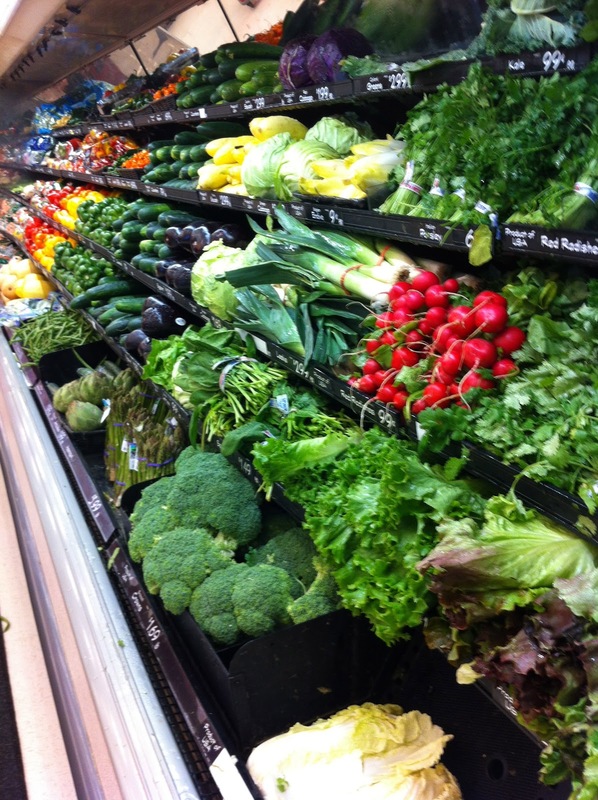 And all the produce was A-list. Which I can't always say about Fiesta. From there I went off in search of snacks. I found that Archer Farms, the in-house Target fancy brand, makes some pretty craveable crackers, chips, and cookies. All delicious for my teacher baskets. Cheddar & Scallion Cheese Straws for just $2.91 a box sounded perfect. And if I hide the box, I could probably get away with saying "Yes, I made those. 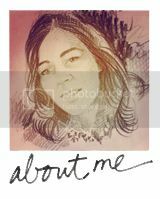 It's one of those Pinterest projects, you know." People would believe that. Lemon Shortbread Cookies? Yes please. Again, less than $3 a box. There were even tiny Stroopwaffle cookies coated in dark chocolate on one side. 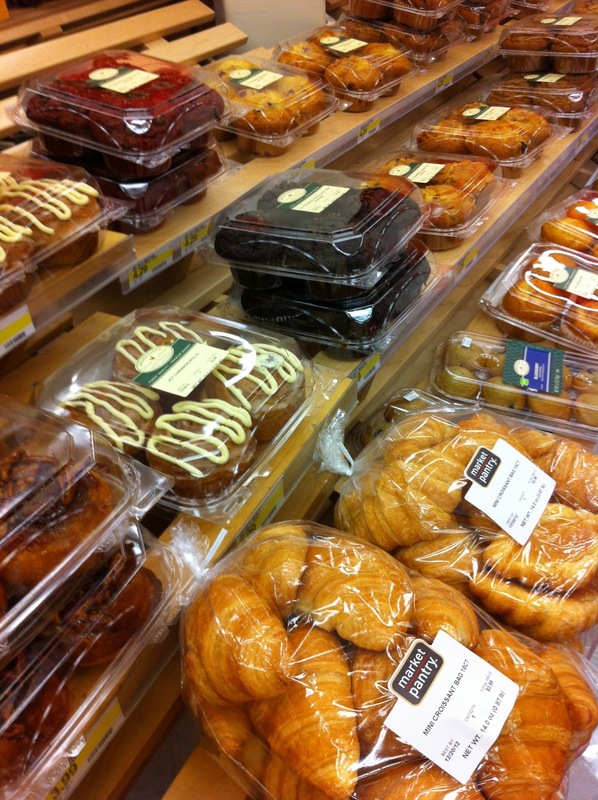 *drool* In the cart both of those went. Archer Farms even had fancy dried fruits like Pomegranate Seeds, which will look very festive sprinkled liberally all over my fabulous cheese and cracker spread next week. 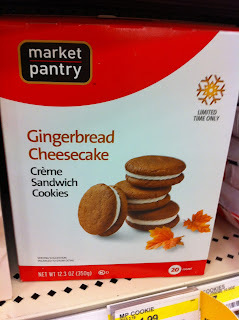 And how about these Market Pantry Gingerbread Cheesecake cookies ($1.99)? 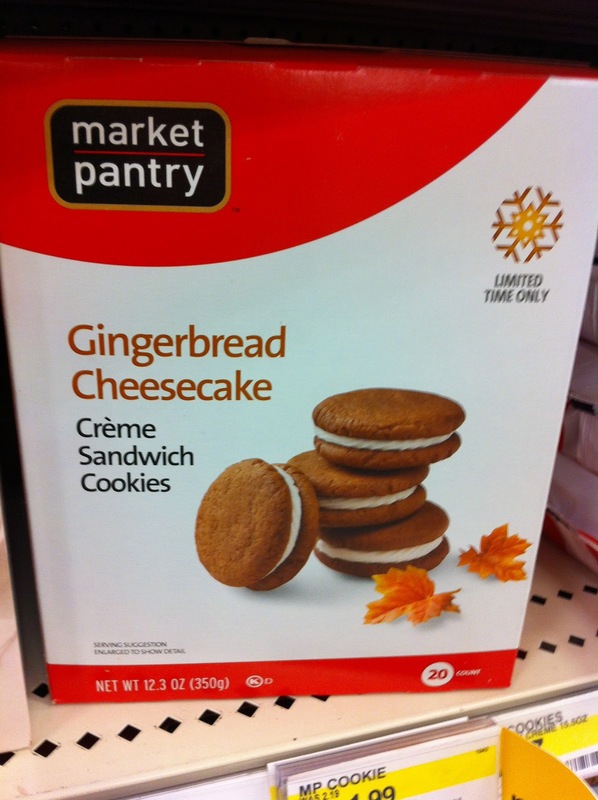 I also found these in Pumpkin Spice Cheesecake flavor as well, by the way. And they totally look like a cookie that you might have "home made". If you can't make it, fake it. Because who has time to bake at this point, really. Going up and down every aisle of a grocery store can sometimes be a very rewarding experience. Looking at every single thing, you notice items you might not have seen before. I stumbled upon several very tasty looking Archer Farms holiday snack mixes, nut mixes, tiny bags of flavored coffees (.99¢), bottles of Archer Farms Coffee Syrups ($3.99) and lots of chocolate covered things. INTO THE CART. 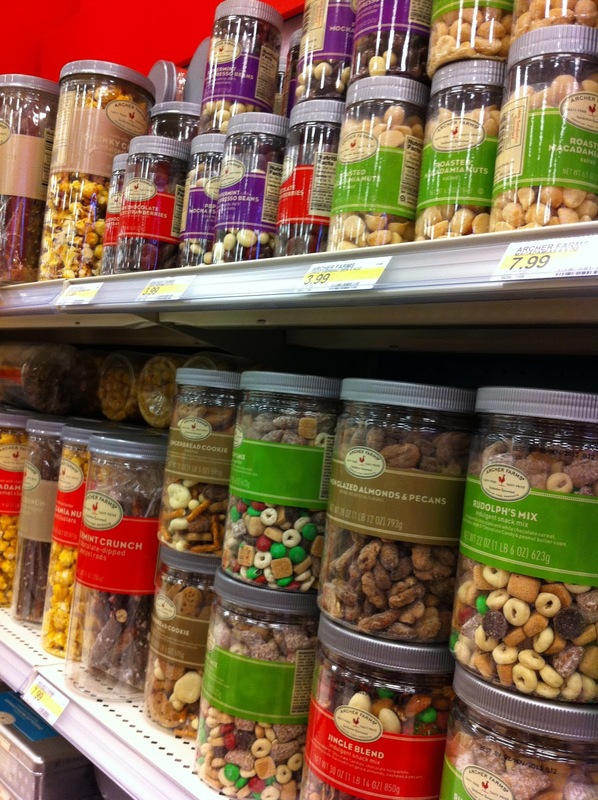 I also found Archer Farm Jingle Blend Snack Mix ($9.99), Archer Farms Holiday Roasted Sea Salt Deluxe Mixed Nuts ($9.99) and Archer Farms Toffee Caramel Clusters ($4.99). Things went so much better than I had planned. I didn't have to go to ten different stores to find all my stocking stuffers, holiday spread snacks, and teacher gifts. You'll also be able to find exclusives like their Godiva Gold Star Ornament ($9.99) and their Godiva Truffle Tree Ornament Box ($6.99) and then there's one more store you don't have to go to at the mall. I got them all at Target. With coupons no less. 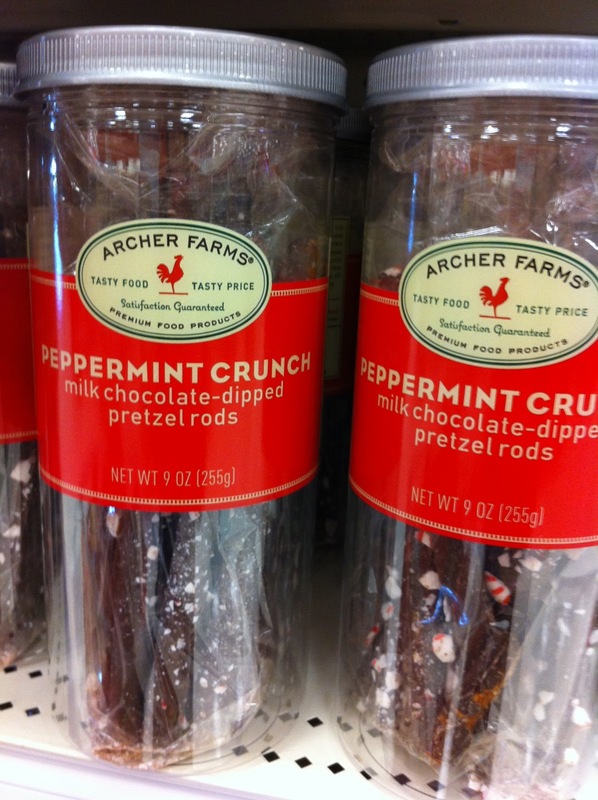 And I will be very sad when the Peppermint Crunch Chocolate Covered Pretzel Sticks are gone after the holidays because THEY. ARE. AWESOME. Subscribe to Mommy's Wish List so you don't miss a deal on holiday gifts and goodies. Mommy's Wish List Disclosure: This post was sponsored by Target. In addition to that, Target generously donated a $75 gift card to the family that we were sponsoring this holiday thru a program set up by the Mayor Pro-Tem of Dallas.